Being the stronghold where the troops station, passes are often located in the key position of the Great Wall, to get the effect of "if one man guards the pass, tens of thousands never want to get through". Generally speaking, the pass is composed of a city wall (square or polygon shaped), city gate, gate tower, luocheng, wengcheng (the following paragraphs will further explain these two fortifications), and moat. City Wall: It is the main component of the Great Wall pass, often measures about 33 feet tall. The outside of the wall was laid by pieces of large bricks or stones with the inner comprising of yellow earth and debris. The top of the wall measures about 4.4 to 5.5 yards which enables four horses to run side by side. On the wall, there are forts from where soldiers can overlook and shoot with low parapets (Nuqiang in Chinese) to protect people and horses in case they fell over the wall. City Gate: In peace time, it is the passageway for soldiers passing in and out. At war, it is used for the exit to counter attack enemies. Many gates are carved the name of the pass. Inside the opening, a pair of wooden doors stand there which are covered by sheet iron on the outside. The inner sides of the doors are secured by big bolts and lock holes. Even machineries are hidden inside to kill the intruders. Gate Tower: It has one, two or three floors and usually made of wood or bricks. It is stands on top of the gate and serves as a watch tower and commanding post when war is imminent. Many gate towers on Great Wall are colorfully painted and intricately decorated, which makes them look like delicate artwork. 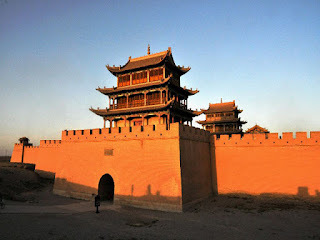 The gate tower of Shanhaiguan Pass is a typical example of this. Wengcheng: A small enclosure which is built on the outer side of the Great Wall. It serves as another line of the city wall to strengthen the defensibility of the city gate. 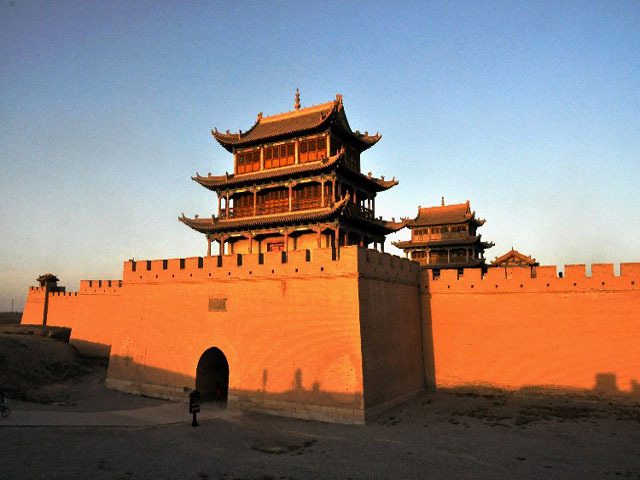 Luocheng: It is a secondary wall built to protect the Wengcheng which is often the main target of enemies. On the top, there are also towers to watch the enemy's situation and command battlement. Moat: There is usually a moat around the Great Wall pass. It is a deep trench filled with water after excavation to build the pass. Being another line of defense, it increases the difficulty for enemies to attack the city and creates opportunities for soldiers on the wall to attack intruders.